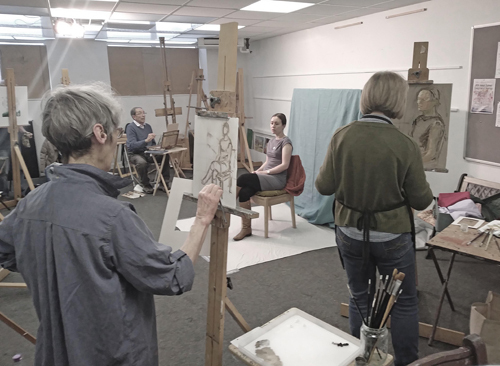 Artists are welcome to join us for these UNTUTORED clothed figure painting sessions. Most artists work in oils but you are welcome to use any medium. Easels are provided and free tea/coffee and biscuits at break time. Cost is £7 per session. The model will be in one pose for the evening and where indicated will resume the same pose and costume for a second evening. If you are attending for the first time, please contact Norman for access.